AVnode | LPM 2015 > 2018 has been admitted, amongst 127 applications submitted, to the Creative Europe Culture Program for European Large Scale Cooperation Projects, and this means that we will have the chance to improve and develop our project for the next three years, starting from June 2015 until June 2018, along with our engaged partners across Europe. AVnode | LPM 2015 > 2018 project foresees the production of 1 Meeting, 1 Audience Development Conference and 12 festivals for each of the following 3 years, besides 200 satellite events. Each festival will host 1 artist as extra feature, so at least 630 selected guest artists will be promoted by the partners across Europe. AVnode | LPM 2015 > 2018 will reach this estimated numbers over the 3 years, 3.000 artists, 500.000 people during the events and at least 10.000.000 of people with the communication plan. 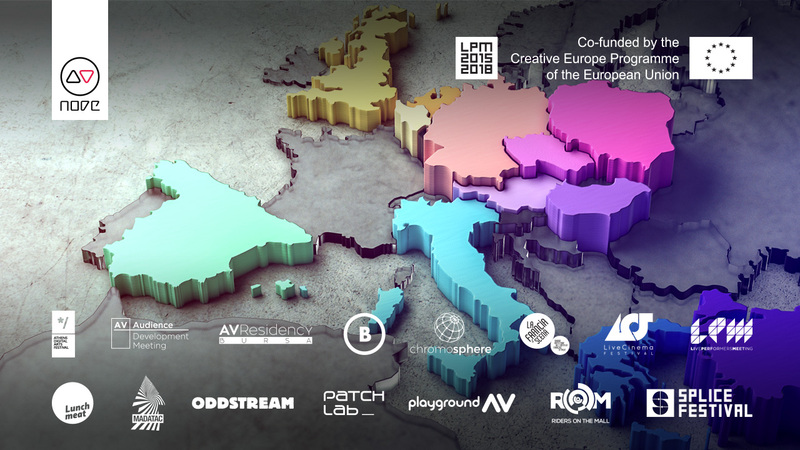 AVnode | LPM 2015 > 2018 is a cooperation project between 13 partners from 12 countries: Austria, Belgium, Czech Republic, Germany, Greece, Hungary, Italy, Netherlands, Poland, Spain, Turkey and United Kingdom, aimed to promote and develop live video culture to European and worldwide audience with 14 events per year. ROM – Riders on the Mall is a unique gathering of audiovisual jockeys, ranging from virgin riders to experienced charioteers and experts in New Media Art.